Census 2000 figures indicate that more than 19% of the U.S. population aged five and older are people with disabilities (Goddard, 2004). Technology has the great potential for improving the education and quality of life of individuals with special needs. 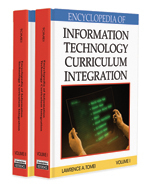 Blackhurst (2005) identifies six distinct types of technology impacting education: (1) technology of teaching (instructional approaches designed and applied in very precise ways); (2) instructional technology (videotapes and hypermedia); (3) assistive technology (AT) (devices designed to help people with disabilities); (4) medical technology (devices which provide respiratory assistance through mechanical ventilation); (5) technology productivity tools (computer software and hardware); and (6) information technology (access to knowledge and resources). Special Education: Specially-designed instruction to meet the unique needs of a student with disabilities including but not limited to instruction conducted in the classroom. Universal Design: Designing programs, services, tools, and facilities so that they are usable, without additional modification, by the widest range of users possible, taking into account a variety of abilities and disabilities. Adaptive Technology: The use of hardware and software to assist individuals who have difficulty accessing information systems using conventional methods. It often refers to assistive technology. Learning Disabilities: Conditions that cause people to understand and process information more slowly than average. These individuals may require information to be presented in multiple formats before they completely understand it. Prereferral Process: A procedure in which special and regular education teachers develop trial strategies to help a student showing difficulty in learning remain in the regular classroom. Early Intervention Services: A program of activities and services, including assistive technology, required by the Individuals with Disabilities Education Act for children from birth through age two.